The Galway public bicycle rental scheme was launched in November 2014. It is a self-service bike rental service open to all from 14-years old. Good quality bicycles with a basket, variable gearing and lights can be collected from any of the bike stations in the city. 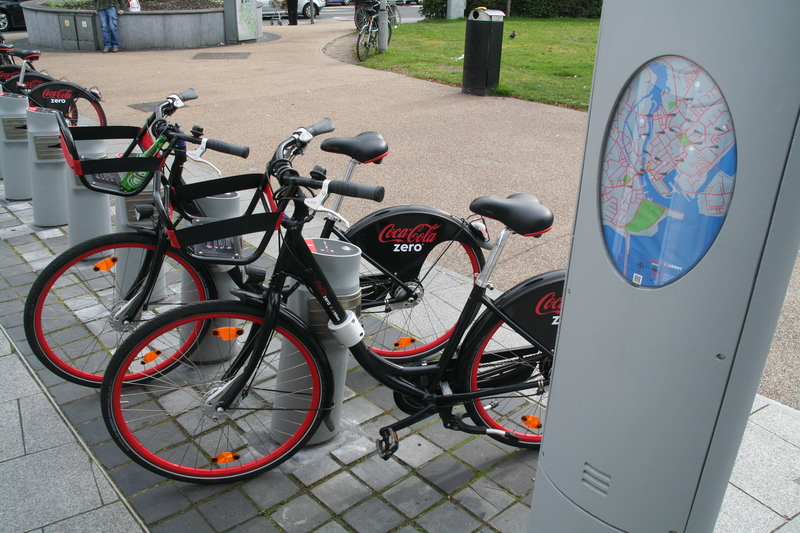 Bikes can be hired using an annual subscription (currently €10 per year). The first 30-minutes of each hire is at no charge, for longer hires a service charge applies. It is a welcome addition to the bicycle infrastructure in Galway and has great potential for people living in Galway and for visitors alike. However, bike stations are all currently concentrated in the city centre. Far more bike stations need to be installed throughout the city, in all suburbs, so that more people can avail of the scheme.